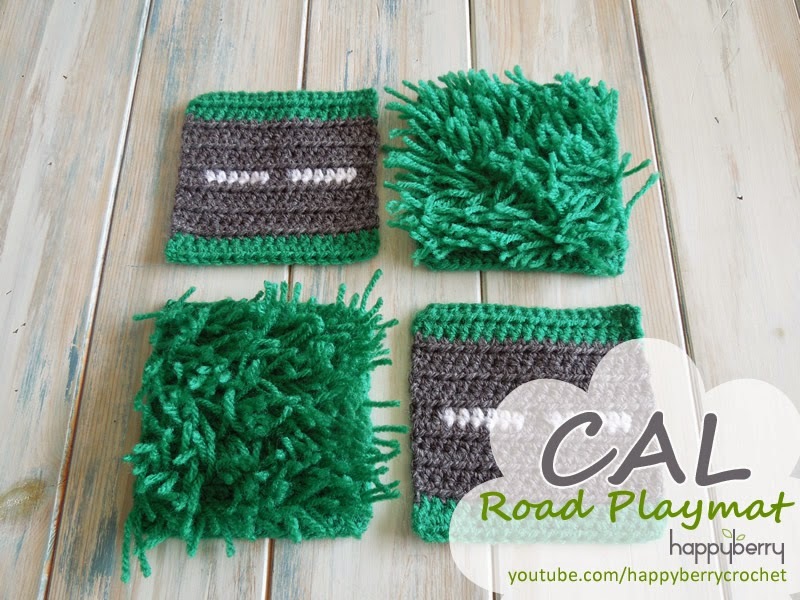 Welcome to episode one of my CAL for my Road Play Mat, and this week I am going to be showing you how to make the long grass square and the straight road square. In total we will be making 20 squares, of which there will be 8 designs, to make a 4 x 5 square blanket/play mat. You can of course make up more duplicates of the 8 designs or even invent your own to make this play mat into an even bigger project, as this CAL is completely modular! 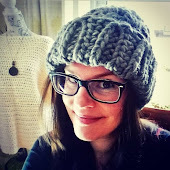 You can of course use Aran / Worsted weight yarn if you prefer. We are working to a 10cm x 10cm (4" x 4") square, but as long as all your squares are the same size for you so you can join them together at the end, then that is fine, using aran / worsted yarn will just make them slightly bigger. Ch1, TURN, 1hdc in 1st st and in ea st along - (18) Fasten off and tie in all tails. You will need to make 4 straight road pieces for this CAL. I highly recommend watching my video tutorial below on how to do the hdc loop stitch if you are new to it. You will need 3 long grass squares for this CAL. Alternatively if you struggle with the loop stitch you can just create 3 plain hdc green squares by working 15 rows of hdc, 18 sts long. I love this idea!! I must have missed it but I am wondering what the schedule is for the release of the patterns? I am making this for a little boy who is graduating kindergarten in May. Thanks!! I just copied and pasted this from the previous post for you. Hope it helps. This CAL will be running for approximately 5 weeks, starting on the 24th April (every Friday), and will contain 8 square patterns to make a 4 squares x 5 squares play mat (made up from multiples of the 8 patterns), but of course you can make it bigger or smaller as this project is completely modular! What a great idea!!! I've got two baby boys that will be fascinated with this mat. Thanks a lot for all your effort. I love this pattern! Thnx 4 sharing! I'm going to make this for my son's birthday! Found this on raverly! My son is so excited!! Looks like a fun pronect! Thanks for a great pattern!